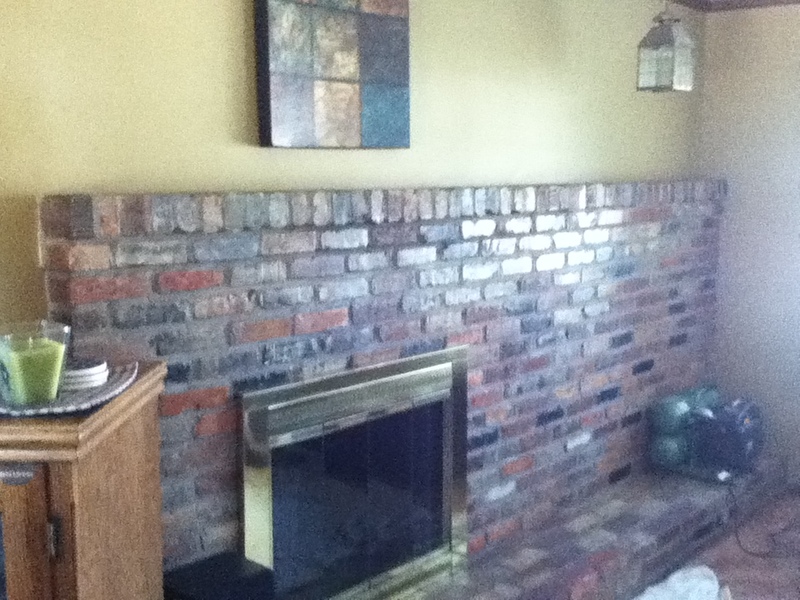 The homeowner's of this home located in Grand Ledge wanted to add a little more character to their brick fireplace in the living room. 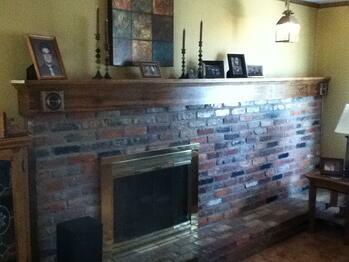 The fireplace originally had a brick cap that lacked an eye catching appeal that they were hoping for. They didn't want to create an overwhelming looking fireplace, so after speaking with Steve Way Builders, LLC, we dediced to constuct a simple designed knotty pine wood mantel to encase the top of the brick fireplace. The mantel will be constructed of four main parts. It will have a 1" x 8" top cap and face plate, a 1" x 2" bottom cap, and colonial crown moulding as an apron beneath the top cap. Rosettes will accent the corners of the mantel. The homeowners wanted to have a hand in the project, so they volunteered to complete the staining of the fireplace mantel. 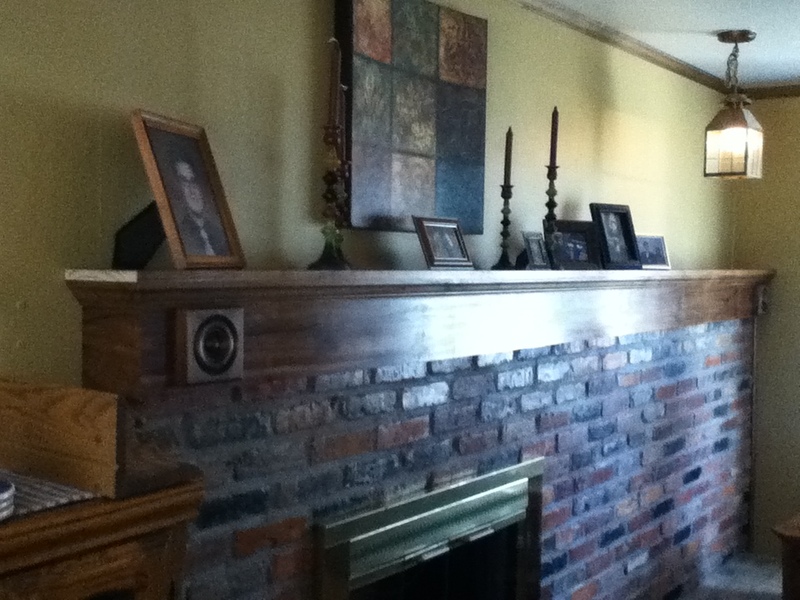 We picked up the material and had the homeowners get all of the wood stained and sealed before we contructed the mantel. 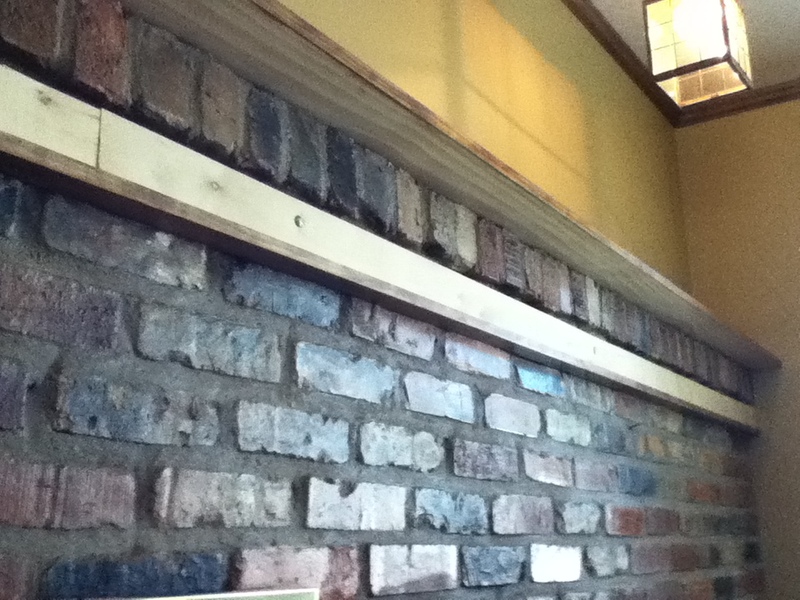 The first step in the contruction of the fireplace mantel was to attach some backing to the brick. Various width furing strips were set into the morter joints with masonry anchors. These furing strips will provide a solid surface to attach the finished knotty pine material of the new mantel. 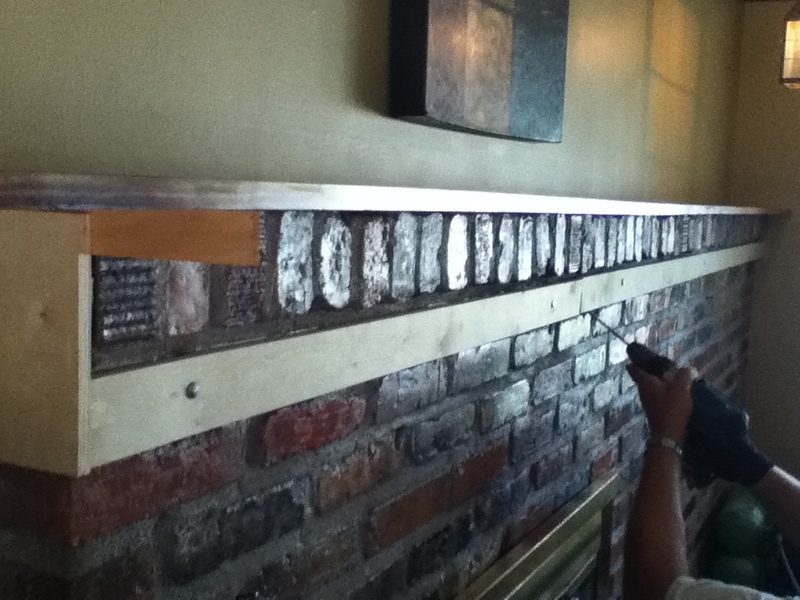 The 1" x 10" top cap was scribed to the back of the wall so there are no gaps between the wall and the wood mantel. Next, a 1" x 2" bottom cap was installed flush to the brick and nailed into the wood furing backing material. The face of the mantel was then finished off with a vertical 1" x 8" and a piece of crown moulding. 8" rosettes finish out the corners of the mantel. The new fireplace mantel is a faily simple design, but drastically changes the appearance and storage of this large brick fireplace.